Perennial Print — The Contemplative Life. 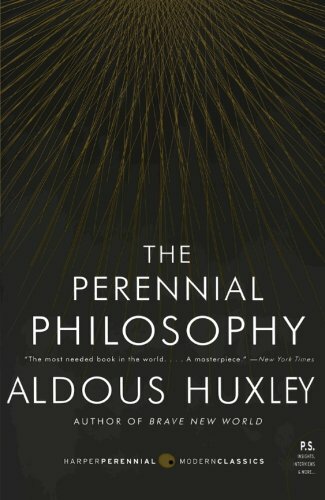 In The Perennial Philosophy, Aldous Huxley attempts to synthesize world mysticism, exploring the core beliefs and practices of contemplatives from a variety of religious backgrounds. Knowledge is a function of being, and Huxley finds that those who fulfill the necessary conditions, emptying themselves of their own self-interest to become pure in heart, make room for the experience of God. A great springboard for finding primary contemplative texts from each religion; if there is one book to read in comparative mysticism, this is it. See my full review here. This is probably the most well-known, classic study of mysticism. It was originally published in 1911, but is only slightly "out of date" (there is a chapter about "mysticism and vitalism" which isn't currently a relevant term). The book is broken into two parts: The Mystic Fact, which explores the core marks of world mysticism and its relationship to psychology and theology, and The Mystic Way, which explores contemplative practices and the shape of the mystic's life journey. This is a dense, long, academic study of the topic and is more suited for a serious academic setting. Underhill also has a much smaller, more accessible work called Practical Mysticism. 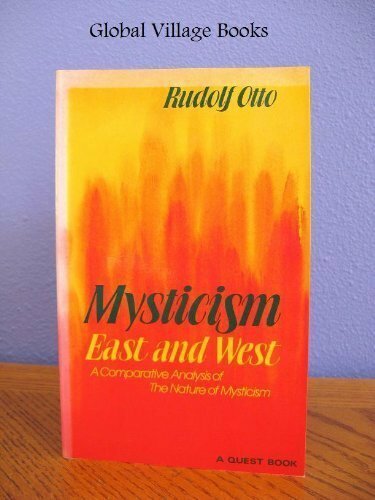 In Mysticism East and West, Rudolph Otto compares and contrasts the lives and thought of two representative mystics – Meister Eckhart of the West and Shankara of the East. Ultimately he finds more similarities than differences between these two, and, therefore, between Western and Eastern mysticism in general. Otto's most famous work is The Idea of the Holy. 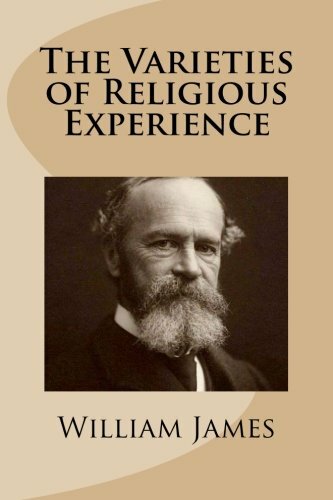 This is a series of lectures from William James, an American psychologist in the late 19th and early 20th centuries. The Varieties of Religious Experience, like Underhill's Mysticism, is a dense academic text. James explores religious experience from the perspective of a psychologist, and this lens shows itself throughout. James does pull direct examples from classic mystic writers, but includes more primary quotations from modern "average citizens" when exploring a topic. James believes that "a large acquaintance with particulars often makes us wiser the the possession of abstract formulas," thus the book is filled with these direct quotations. This isn't strictly a study of mysticism per se, but does have much to say about the topic. Not a light read, but a classic study worth patiently exploring. 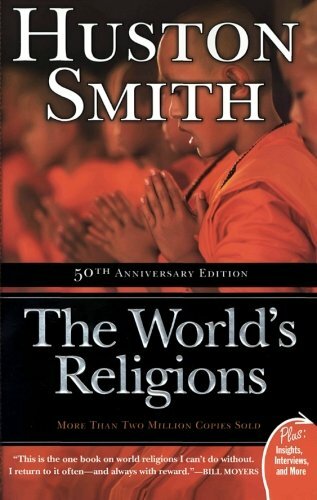 Huston Smith is widely regarded as the world's foremost expert on comparative religion. In his The World's Religions, Huston focuses more on the theology and philosophy behind each faith than their histories. Huston typically stresses the commonalities that underly world religion more than their differences. This is an accessible but still comprehensive overview of an array of major faith traditions. Obviously this is written from a Christian perspective and focuses on distinctly Christian mysticism. 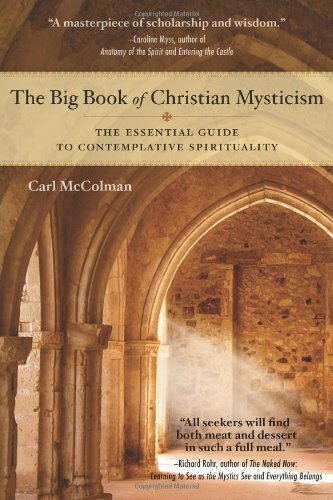 McColman also includes a good discussion about world mysticism and its relation to the Christian contemplative tradition. The author blogs at A Contemplative Faith through Patheos.